XC. HuA Beijing is delighted to present the art project “Index 1/2” together with the Icelandic artist Georg Oskar Giannakoudakis and Chinese artist Dafei. The exhibition will be shown in the form of a documentary guide. The project will display the aesthetic language of the two artists to the audience in an unconventional way. Exploring the possibility of the “real world” through the various creative techniques of the two artists who represent different cultural backgrounds, the exhibition explores the creation of similar, but distinct intercommunication in different time and space contexts. In conjunction with the dynamic live creation in the exhibition space, the project "Index 1/2" will continue until 05.03.2019. 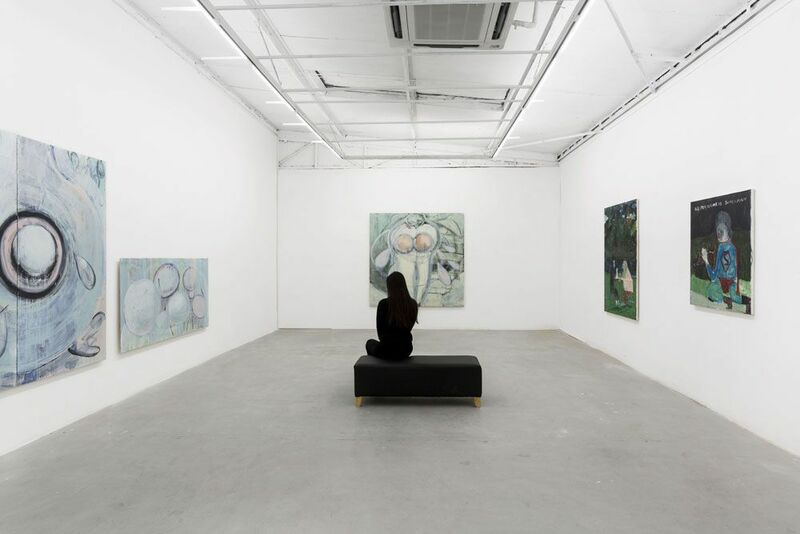 The Chinese artist Dafei will carry out a continuous creation process in keeping with the exhibition guidelines in the first half of the exhibition's life-cycle. In the middle or later stages of the project, the Icelandic artist Georg Oskar Giannakoudakis will take over the second half of the creative exploration. “1/2” represents the exhibition form of the project, which is jointly created by two artists at different points in time. It also shows the two artists as part of the group generation of young artists. Under the new realistic benchmark, they will re-examine and innovate through expressionism as a state of progress. At the same time, new questions are expected to be presented: Is the core of the "real" concept a false proposition? Can the space that we see prove the existence of "reality"? Does the world as a seemingly unlimited space with great freedom of existence also limit the boundaries of freedom with the concept of “reality"? "1/2" is the common answer of these two artists. Perhaps it is never possible to glimpse the whole picture of “reality.” However, the process of exploration constitutes part of the reality of this world; the self-exploration of independent living bodies is thus intertwined. Unfinished dynamics hide countless possibilities.